Fr. Matthew lives and serves in High Peak, Derbyshire. He has served in the Civil Service for many years, and has served Christ by studying theology and serving the church with pastoral care and preaching. Taking his junior vows in the Order of Premontre (RC) in 1991, and his Minor Orders and candidacy in 1995 by Bishop Melville (RC), he was ordained deacon in May 2018 in an Old Catholic Church, and joined OCAC by incardination in September 2018 to continue his serving and formation. Revd. Matthew is serving a local Church of England parish by local ecumenical arrangement during their interregnum. He studied at St Mary's Oscott and Plater College, Oxford and modern theology at Oxford Brookes. Fr. 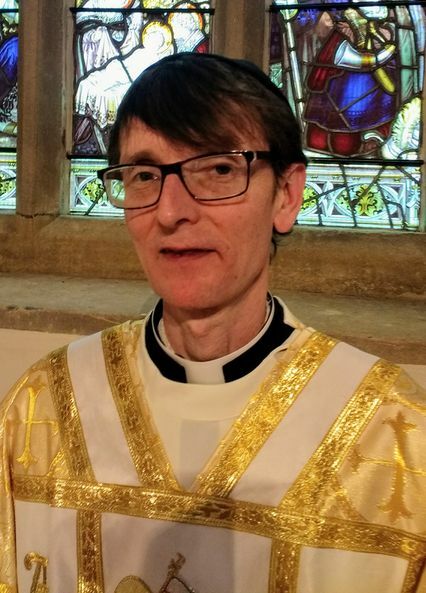 Matthew was ordained by Bishop Adrian in April 2019. He also serves as Abbott of the Canons Regular of Christ Crucified, a religious order of OCAC.